More SEO is an SEO company in the UK. SEO is short for Search Engine Optimisation. More SEO specialise in providing efficient SEO services so that your website can be properly optimised and found by searchers on the internet. More SEO only use ethical search engine optimisation methods as outlined by search engines like Google’s webmaster guidelines. This is to ensure that your website does not break any rules and does not get banned from the search engines. If you would like to find out more about how to get on Google, please follow the link. Search Engine Optimisation is vital if you want your website to perform well on the internet. 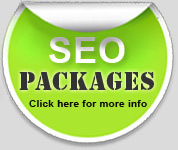 We offer SEO packages UK from £179.99 (inc VAT) per month. Please see our SEO packages on the website for more info. We are sure we have an SEO package to suit your requirements, if not then we are able to build a bespoke SEO package for your business needs. Keywords are the search terms that your customer use to find you on the internet. More SEO will do a full keyword analysis, and assist you to find the best keywords or keyphrases. The more keywords the more chance of finding the customers you would like. Keep up to date with all the latest news, gossip, tips and tricks with More SEO's Blog! Regular news letter is sent out, keeping you up to date with the changes and trends in the search engine optimisation world. More SEO believe in delivering results! Our whole ethos is designed around this and our customers can see the results anywhere at anytime by logging into the website. Click SEO Reports for more info.